A milestone energy document released this week gives insight into how federal officials plan to shape the U.S. energy system. And yes, microgrids are very much a part of the plan. In the first-ever Quadrennial Energy Review, the Obama administration offered a multi-billion dollar roadmap for improving the nation’s oil, gas and electricity delivery systems. The document paints a picture of an electric grid pressured to accommodate new technologies, while dealing with cybersecurity threats and weather extremes — all at a time in history when society can’t withstand long-term power loss. As the report points out, without reliable power, the nation loses systems vital to a modern society: navigation, telecommunications, banking, healthcare, emergency response, and the Internet. 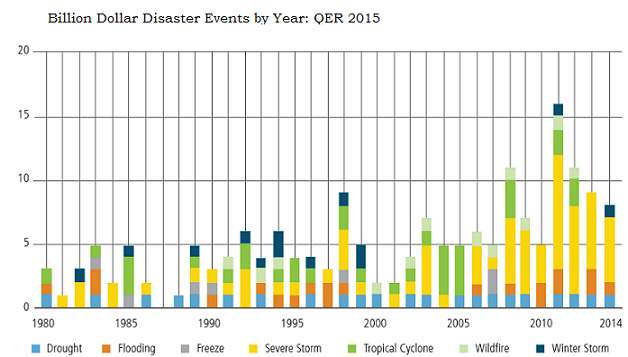 “Yet the threats to the grid — ranging from geomagnetic storms that can knock out crucial transformers; to terrorist attacks on transmission lines and substations; to more flooding, faster sea-level rise, and increasingly powerful storms from global climate change — have been growing,” the report said. 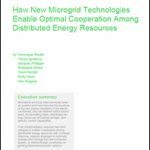 This opens the door for microgrids and related technologies, which are mentioned several times as solutions to problems in the energy delivery sector. The report also makes clear that today’s grid problems are as much about regulation and business models, as they are about physical threats. The grid is operating under rules of a century ago, even as the electric industry innovates at a rate never before seen. The nation needs to overcome this institutional, regulatory, and business lag, if it is to take full advantage of technologies that can keep the lights on and help meet climate change goals. The report lists these technologies as: energy efficiency, energy storage, carbon capture and storage, electric vehicles, microgrids and other distributed energy resources, as well as nuclear, natural gas, and renewable energy. The grid of the future should “enable the operation of microgrids that range from individual buildings to multi-firm industrial parks and operate in both integrated and autonomous modes,” the report said. As part of a larger grid modernization effort, expected to cost more than $3.5 billion over a decade, the plan lays out federal smart grid efforts that will lead to more microgrids and similar tech. In particular, it cites the need for next-generation distribution management system and controls. Microgrids will not only help modernize the interconnected grid, but can also serve remote regions with no grid connection. To that end, the quadrennial review envisions microgrids playing a role in integrating and strengthening trade in the larger North American and related Caribbean markets. Canada is the U.S. largest energy trading partner, with trades valued at $140 billion in 2013. The Department of Energy’s National Renewable Energy Laboratory and the Department of the Interior are looking closely at microgrids and small scale energy tech for the Arctic. Beginning this month, the U.S. will chair the eight-nation Arctic Council. During its two-year term, the U.S. plans to propose initiatives to address climate change, including development of microgrids and local energy to ease use of diesel fuels. The U.S. government also is looking at ways to help the Caribbean develop more resilient and clean energy. The report also takes an indepth look at energy security, fuel transportation and supply, environmental impact, employment and other pressing energy issues. 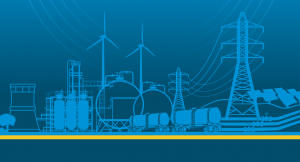 Called “Quadrennial Energy Review: Energy Transmission, Storage and Distribution Infrastructure,” the report can be downloaded here. 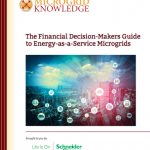 Track news about microgrids by subscribing to our Microgrid Knowledge newsletter. It’s free.